Dr Vaidya’s is a new age Ayurvedic products company that aims to take the traditional science of Ayurveda to the 21st century. The brand is at the forefront of innovations in Ayurveda and has launched products like LIVitup (Hangover Shield) and Chakaash (Goodness of Chyawanprash in Toffee). Dr Vaidya’s story is one of history and legacy with a new age twist. Dr Vaidya’s stands for 21st century India – a company that understands the values of the past and the needs of the present. The aim of this company is clear – to take the traditional science of Ayurveda and a 150-year-old family legacy to modern consumers. With innovations like LIVitup (Hangover Shield) and Chakaash (Goodness of Chyawanprash in a capsule) – the brand embodies “New Age Ayurveda”. Dr Vaidyas’ story starts 150 years ago in Gujarat. As traveling Ayurvedic doctors, the ‘Vaidya’ family practiced their trade across the state. In 1923, Dhirajlal Vaidya moved to the big city and set up his first clinic in Masjid Bunder. With time, his son, Dr. Natoobhai Vaidya graduated from medical school and joined his father’s practice. In 1971, he took over the reigns of the clinic and, the rest is history. By the mid-90s, Dr. Natoobhai Vaidya assumed legendary status with more than 300 patients walking into his clinic every day and more than 12,000 patients writing to him via a post every month. Even with all this success he stayed true to his roots and vowed never to charge a patient for consultation – free consultation is something that Dr. Vaidya’s still offers to all its patients (agnostic of the medium i.e. in person, via phone, video call, live chat, text message. Whatsapp, email, Facebook, Instagram etc.). Dr Vaidya’s is best known for its repository of highly effective Ayurvedic medicine formulations that have been passed over the last 150 years. The products have been tried and tested on more than 10 million consumers over the last 150 years. The specialty and uniqueness of the formulations is that each of them blends the active ingredients of multiple effective herbs into one product instead of focusing on just one herb. Thus, the products take the best effectiveness of multiple researched Ayurvedic herbs and put them together but are also unique as compared to the rest of the products in the market. All Dr Vaidya’s products are manufactured in house at 15,000 + sq. ft. ISO 9001:2015, Ministry of AYUSH and WHO: GMP certified facility that is also US FDA registered. Thus, the brand ensures they operate at the highest standards of quality. 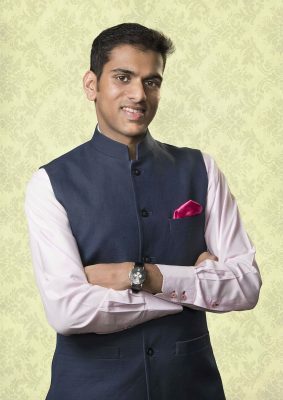 In 2016, Arjun Vaidya (Dr. Natoobhai Vaidya’s grandson) took on the reigns of the business. Arjun wanted to do more and expand the scope of these effective Ayurvedic medicines to more than just the clinic. Arjun had spent time in the US and seen first hand the move towards natural and organic products. He had witnessed the ‘Whole Foods Revolution’. Yoga has also become a truly global phenomenon and, Arjun had seen the creation of a lifestyle around yoga through yoga mats, yoga pants, and yoga gyms. In India, the consumer had changed too. He spent 2.5 years in the private equity domain working for a fund that focused on consumer sector investing. With the Modi government, a new burst of national pride, the creation of the Ministry of AYUSH – Arjun sensed an opportunity. While Ayurveda was growing, he saw that the science had lost touch with modern consumers. He believed that Ayurvedic medicine and products were perceived as boring, old style, poorly packaged and hard to understand. This is what he set out to change and make Dr Vaidya’s a new age Ayurvedic products brand that made this science appealing and accessible to modern consumers in language, communication, and format of products. Arjun started with just two products in 2016 and today has repackaged a range of more than 35 products. 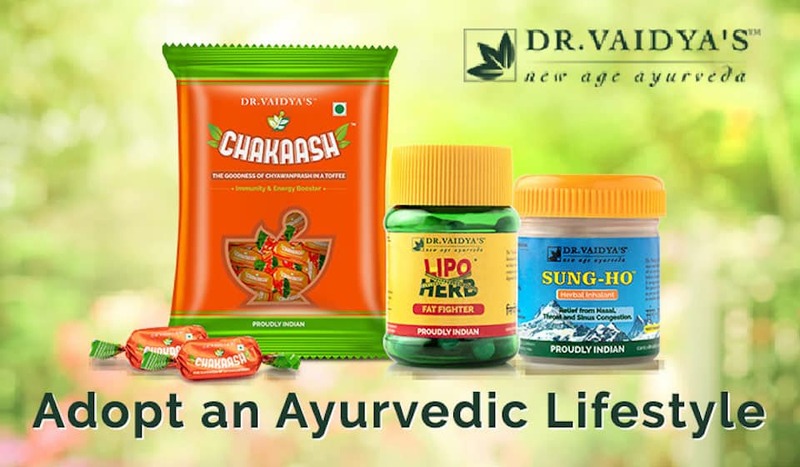 Dr Vaidya’s range embodied new age Ayurvedic medicine with innovations like LIVitup (Hangover Shield), HERBOfit (Goodness of Chyawanprash in a capsule), Chakaash (Goodness of Chyawanprash in Toffee) and Sung Ho (Ayurvedic Inhalant). Other than this, Dr Vaidya’s has always been famous since Dr. Natoobhai’s time for its chronic ailment focused products. The brand has very effective formulations in the domains of arthritis, diabetes, asthma, irritable bowel syndrome (IBS) etc. Dr Vaidya’s also understands that 21st-century consumers have lifestyle issues and thus, it has a very effective range of products focused on sleep, weight loss, anxiety, depression, sexual wellness, immunity, energy, and common cold/cough. Just this year, Dr Vaidya’s has launched a super innovative range of female-centric products i.e. Herbobliss focused on female sexual wellness and Cycloherb focused on PCOD and regulation of the menstrual cycle. With a focus on the new age customer, Dr Vaidya’s also offers the highest quality Ayurvedic care across the digital world. With an in house team of highly experienced doctors, the brand endeavors to serve as many as they can as Dr Vaidya’s believes there are thousands of consumers who required but cannot find high-quality Ayurvedic care. Thus, whoever the customer may be (whether or not they buy Dr Vaidya’s product or not), the brand will offer a free Ayurvedic consultation with an expert doctor. This is a testament to Dr Vaidya’s deep rootedness in its past but goal to move forward. The free consultation was a legacy that the business did not want to give up but it molded itself in the digital age. Ayurveda has been a trending term for the last 5 years but, consumers are sometimes confused about how to find their gateway into this seemingly complex and age-old science. Dr Vaidya’s has stepped in to solve this very problem. The brand is focused and committed to being the gateway for modern consumers to Ayurveda. It truly makes the science appealing and accessible in an easy to understand format. As a brand, Dr Vaidya’s is waiting for you to adopt the Ayurvedic Routine (‘Dincharya’). So, stop waiting and adopt the new age Ayurvedic way of life! Today, Dr Vaidya’s is present in more than 1,000 stores across India. Their products are also available on their own platform as well as 15 other marketplaces including Amazon, Paytm Mall, 1mg, Medlife, Netmeds, Seniority etc. The brand also does work in the UK and China and will be launching in the US as well as other SAARC countries soon! 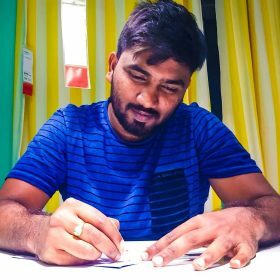 Announcing The Launch of our New Feature Blogger Stories by StartupsIndia.